There was a report in the Times earlier this week that Newcastle would like to open talks to extend Rafa Benitez’ contract at the club beyond June 2019. 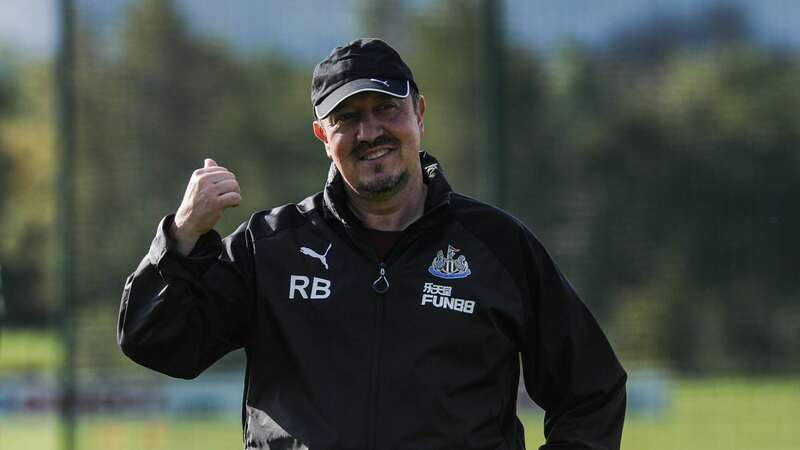 The Chronicle has reported no talks have yet taken place yet on an extension, but the Times report concentrated on the fact that Newcastle’s intention was to speak to Rafa about the contract extension. It would make Newcastle a very attractive club to buy if say Rafa Benitez was contracted to the club for 10 years. Just think how many Rafa flags would be created if that happens. Certainly Rafa at his press conference yesterday was all smiles, and he was relaxed and happy. He cracked some jokes too and seems like a happy man doing the job he was born to do. You cannot get much better than that in this life. “I’m very happy here and I love the city. It reminds of Liverpool because of the people. In fact, we wouldn’t be too surprised if he has already been approached about a new contract. But that could take some time to work out with Rafa wanting everything written down again. But long-term he must also know that Mike Ashley could well sell the club to wealthy and ambitious new owners. And that would be perfect for Rafa Benitez and ideal for Newcastle United. Rafa, Rafa, Rafa, Rafa, Rafa, Rafa, Rafa, Rafa. How Will Newcastle Fare Against Liverpool? Don’t see Rafa throwing a spanner in the works. The formation is what it is, has been for the vast majority of his reign, but the wingers are going to have to defend a lot. Perez and Joselu defending from the front. Think we’ll concede a lot of possession and territory. Gayle v tired legs and Mitro/Shelvey/Murphy/Lejeune depending on the score, to make cameos. Mbemba and Yedlin will be targeted. Shame Dummett is not fit, but Mbemba is the best option to replace him. All said, a hard fought 5-1 Toon victory! Really looking forward to the game and the atmosphere. New flags to be unveiled in the Gallowgate. Church at 16.30 on a Sunday! 2 weeks international break after this one. Will certainly not be boring for the Welsh, Scots and Irish, with play off places up for grabs. Having finally got to see Wales in a Championship finals, is it being greedy to expect it twice?